On the old-school Saturday Night Live, Eddie Murphy did a skit called “Prose and Cons” as Tyrone Green, a tenant in jail reciting his poem “Images” on an alleged incident. The video version is a lot funnier, but NBC removes anything that infringes on DVD sales, so I can only present plain script. When I look back at the landlords I’ve had in Greece, it makes me sigh with relief to know that the next home I rent or buy will be in another country. I’m looking forward to it, in fact. The first apartment I rented upon arriving in Greece was advertised in the Athens News and located on a pedestrian street in Plaka. Although it had no cars, I could hear the groan of traffic on the main road, beeping of horns and putt-putt of motorcycles passing under the window. Whatever toxic smell of pollution I detected at the beginning had dissipated with time and tolerance…kind of scary. During Carnival, squeaky bats and general merriment lingered until late evening, and the church next door always woke me on Sunday morning when I’d returned from clubbing only an hour before. My landlord was a self-proclaimed artist who made primitive clay figures, such as “woman laying naked in the sea,” and he took the meaning of his name very seriously. Theodoros (gift of God) spent all of this time in his studio creating originals and hitting on mature foreign women that he convinced to purchase them. His conquests and other bodily functions could often be heard through the thin wall we shared. After three months of parking his motorcycle in front of my door, which he refused to move and reprimanded me for even touching, not giving me a proper contract or receipts — it was an illegal sublet — and cockroaches the size of yams crawling through my apartment (shoes were always required, as were lids on pots), I decided to look for another place. I gained independence on March 25th. Two years later, his studio went bankrupt and his apartment rented to someone else. AA was a quiet and eclectic landlord I found in a now bankrupt English-language publication with several apartments awash in marble around the center. I took the less tacky one that my friend K called the “submarine” because it was partially submerged under a medical building but had an open private stairway, large sunny windows and courtyard. The only minus to its location was it faced the American Embassy and was prone to daily rioting. When I asked for a rental contract and receipts, he said that a lease would be drawn up, and there would be no issues with receipts. A month goes by, no lease and no receipts. I also found out the phone could receive incoming calls but not dial out. He explained that a French girl had run up the bill to 300 euros and never paid, so it would stay that way until he found the money to pay it off. When rent came due, I said I wouldn’t pay anything and move out until a lease was drawn up and the rent lowered because he wrongly assumed I was a rich American. He proceeded to offer me a handwritten contract, and I demanded that he sign receipts acknowledging my rent — my request, it turns out, was a good move. In a matter of weeks, things in my life were already chaotic with work, Greek lessons and bureaucracy, so moving again was the last thing on my mind. The next month, I found out he had a key to my apartment and felt it was perfectly appropriate to drop by unannounced because he called and I hadn’t answered my phone. How did I find out? My boyfriend and I caught him. His explanation was, “Well, you’re not supposed to be home; you didn’t answer the phone.” Another time, I came home from work and found a used coffee cup and saucer in the living room. I don’t drink coffee. I changed the locks, paid the rent and gave a spare key to a trusted friend in touch with my lawyer before I left to accept a job outside Greece, when my ex-boss failed to pay me and produce a document necessary for my work permit. Three international money orders sent by FedEx to my landlord to cover rent and three months later, I came back to find the locks changed and someone else living inside. I followed legal advice and asked police to accompany me with a locksmith, while a photographer documented the event of opening and removing my things with the permission of the new tenant. In addition to missing money, sentimental items I’d gathered from travels around the world and my deceased mother were stolen. Charges were filed. There was a legal mediation, but it bore no fruit. AA denied taking rent, denied having my deposit, denied stealing anything, denied everything. In fact, he claimed that I owed him money for the enormous phone bill left by the French woman, electricity and damages, all totaling 2000 euros. We showed photos to him and his lawyer that documented the removal of my things, airbills, bank confirmations and signed receipts for the deposit, phone (I never used), handyman bills I paid, electricity and consistent rent payments. His lawyer resigned that day, and we filed suit. Police have done nothing to enforce the arrest warrant, and I have not seen a red cent…and I know I never will. Mr. A was a respectful man who willingly offered me a lease stamped at the eforia, relinquished every set of keys to the apartment and took pride in promptly fixing things whenever an issue needed attention. He understood from the beginning that I would be commuting between countries and said I could prepay or pay when I came back; he also called in advance and requested the loan of a key if something needed repair or inspection. I’d been told by neighbors that he wasn’t a nice man before Alzheimer’s set in, but I never knew that part of him and he was always kind to me. When he needed the apartment for his son, I was truly sad he wouldn’t be my landlord anymore. He still smiles and says ‘hello’ when I see him on the street, and I’ll always remember him and his family fondly. The only complaint I had was that he could see directly into my apartment from his apartment across the street, to which his son said he’d remedy with iron curtains and a jungle of plants after I moved out. My primary challenge with this apartment was that it wasn’t completely mine. Miss GK from Germany left her furniture and plants behind and had no immediate plans to retrieve them, and I was required to sign a contents lease and pay rent for them even though I didn’t want any of it. When she finally came for them after two years, she gave me two weeks notice to rearrange my life in New York and fly to Athens to meet her and liquidate everything. Since this was unreasonable to both me and my boss unless I wanted to get fired, and there was no way I could get plane tickets without paying exorbitant prices, I wired money to an account and had a friend pay for the few items I wanted and communicate anything that came up. I told Mr. P, one of the most polite and class acts I’ve met, that I only needed the office space he had for three months. He said it was no problem, and I could have my deposit back. His sister, that’s another story. I gave a deposit and rent for three months up front and received a lease and receipts in return. Whenever I was gone for more than a week, I came back to find someone had used my office as a leisure space to kick back, smoke, have coffee and watch TV. When I terminated the lease, she understandably kept the deposit for my last month’s rent. But she refused to give her correct AFM to file my taxes unless I paid nine more months of rent. I felt this was blackmail since my intentions were stated and approved from the beginning. Basically, she took my money without paying taxes and made it impossible for me to claim it on my tax return, despite having receipts. Upon moving back to Athens full-time, I visited Mr. A and his family to see if there was any mail and bring them a gift for their honesty and kindness over the years. They mentioned having best friends down the street with an apartment for rent that just came available — a phone call was made, Mrs. C appeared, Mr. A gave me an excellent reference as a tenant, and I took the apartment. A proper lease and receipts followed. I loved this apartment. It was only two years old, had modern sliding doors with double glass, insulation, a proper video screen to see people downstairs before buzzing them in, a huge balcony, self-controlled heating, hardwood floors, lots of closets and a kitchen that matched the color of my komboloi. But something happened after the first year, which was about the time I transferred to Miami for work and lost my father. When I came back, I found that the toilet float was cheap and broken, and water had been running for an undetermined period. This amounted to a new toilet float costing 9 euros and a water bill of 140 euros, with my landlord refusing to pay even a small portion. In looking at my lease, I realized my renewal contract had been changed to a lease assigning all maintenance to me, instead of the original lease I’d signed that assigned responsibility to the landlord. I hadn’t noticed until then, being preoccupied with changing countries and arranging funerals. Fine, so I paid. This was followed by a scene on the street in which she screamed at me in Greek (not in English, which is the language she usually used) about how I was a poor tenant, never paid anything on time and tried to cheat them. I believe this was intentional so everyone could hear and understand. I couldn’t go door-to-door to show receipts or other evidence to the entire neighborhood to prove she was wrong, so I let my reputation be smeared. She blamed the change in our relationship on my attitude. If attitude meant I wouldn’t be a doormat, then I suppose that’s what I had. Over three years, she dropped by unannounced whenever she saw my light on, sometimes as late as 22:30 to look at an alleged leak or for nothing in particular. My friends and boyfriends witnessed her behavior and wondered if perhaps she wasn’t well. My repeated requests to call in advance were ignored, and she got other people to buzz her into the building if I would not. If I ignored her when she came to the front door, she would pound on the door, yell my name in the hallway and use a key she claimed to not have to let herself in. I got used to bolting the door from the inside, and my lawyer advised me to call the police if it happened again. It came to the point I only dealt with their son, who was a truly nice person and is still a friend. The last thing I needed after calling police to report a threat from an ex, getting engaged and preparing to leave for India for a month was to move house a few days before departure. But that’s what I did. My fiancé insisted we look at a place that my future sister-in-law found for us in the north via her real estate agency. Stating my objections from the beginning (and further objections upon seeing the place) fell on deaf ears, and it was clear that this might be the first of many compromises necessary in my future as a couple. My fiancé, who’d never lived away from home or signed a lease before, assured me he could handle it and did not need me to come along to flush out terms or size up our new landlord. He came to regret this decision. Because the icebox never reached beyond 16°C in winter and exceeded 45°C in summer, we moved our life into the living room to essentially camp around the two heaters or two air conditioners to feel comfortable. Instead of being two grown adults with careers, we were reduced to “starving student” status of 20 years ago. I felt demeaned and humiliated. Each month revealed a new hidden delight to my original objections of no insulation, no proper roof, too many dogs, noisy kids downstairs, prehistoric doors, shabby tentes, cheap roller doors, no storage and bad floor plan. First month, we discover the advertised and confirmed self-controlled heating is actually central. Second month, we discover that there is kinokrista, which contradicts the advertised “no kinokrista.” Third month, the electric bill comes for the past four months and we’re expected to pay 80 percent of a 280 euro bill, even though we didn’t live here the first two months and were in India the third month with only the refrigerator running. Fourth month, the landlord asks us to pay money for gardening (three rose bushes and a tree), and we refuse; then the water bill arrives and it’s revealed that our meter is actually shared with another apartment on the ground floor. In addition, we were forbidden to have the electric/water bills in our name and refused any reimbursement of repairs to a home that was poorly constructed and falling apart. When we left that apartment, she refused to give us back our deposit or retrieve our TV antenna from the roof. She’s been unable to rent the apartment since we left in November 2007. I’m not shocked. So I basically went from having everything in my name to again having nothing in my name, and the housing situation is no better than it was when I first arrived a decade ago unless I’m willing to spend my entire salary on rent. It’s like time warped back to 1997, and I’m back to the same feeling of being uprooted and left to dangle, despite my efforts to put down roots in a country that I’ve invested 11 years of my money, heart and soul. In telling stories about landlords past and present, or any story for that matter, I am neutral on the subject of nationality because I feel people are people all over the world. Others, however, bring it up with the hope of blaming “foreigners.” Antagonists will be disappointed to learn that none of my landlords are or have been foreign. Comparing any single residence I’ve rented in Greece to a lifetime of rentals elsewhere, I can see I had it pretty good. This includes when I paid rent to live in my parents’ house and adhere to their rules, which was the worst of both worlds. This includes the time I found a patent leather heeled shoe from my bedroom closet in the front garden after contractors painted my kitchen. This includes the time I found out my roommate was a exotic male dancer at Latex-a-Go-Go and flew into a rage when I ran out of toilet paper to steal. Hi Rositta – Yeah, I was thinking it was too long and might lose readers because of it, but I couldn’t figure out where it should be split in half. I wish it were only a story and not my life 😉 I’m really looking forward to having a home again! Had enough, huh? I really hope that my husband isn’t too disappointed when we move back. He is really optimistic. I am more realistic. MIL and SIL were robbed last week while they slept…in there own home. Yes, this can happen anywhere, I know, but it happened just doors away from where we will be staying for our first few months in Greece. And, yes, the door was locked. Cheryl – We’ll still be here when you and K get here, so I hope we’ll get to meet you, though I realize you will have a ton of things to do in order to settle in. (Feel free to use my email also). The thing is, I was ready to move last year and my then boyfriend popped the question. The deal breaker was he had to agree to leave Greece, and it turns out that was no problem. If circumstances arise where one or both of us are tied to this country, we’ll negotiate those changes when/if they arise. Either way, there’s no way we’re renting again! After 10 years, I need to feel like I have a home. And yes, robbery is a reality no matter what neighborhood or country you live in. I was robbed in an affluent area with steel security doors. These guys even got my email out of my stolen laptop and taunted me. Police weren’t able to do anything. I’m sorry to hear it happened to someone so close to you. I hope everything is OK. I just want to add that I do know that this post was about landlords and renting. I too rented in Greece before and the kinokrista spread rumors after we left…we didnt pay rent and yada, yada, yada. My FIL lived in the place after we left and when he heard he straightened everyone out…and dumped a bucket of water on somebody on the street…from the balcony. What’s important is to notice a pattern of behavior that is generally accepted as normal , so just prepare to be screwed. About what you said about landlords, I’m sure that not everyone is as unlucky as me, so don’t be scared. Mr. A was a great landlord! Most people I know have homes given to them by their parents, buy a house or rent from someone they’ve known a long time, therefore it’s difficult to compare cases or gauge a majority. I’ve been told I’m too trusting, but I’d rather be more trusting and attract that kind of good energy than go into everything with skepticism because that only makes one’s fears a reality (if you get what I mean). Wow, that sounds awful (about the robbery). Could you tell us what neighborhood that took place in and a little more about it if you don’t mind. I found Athens rather safe when I was there so I’m surprised to hear about that. Hi FA – I haven’t seen your name before and nice to meet you 🙂 I’ll answer your other inquiry via email. Landlord AA was from Kolonaki, and the apartment was near the American Embassy, as I mentioned in the post. He took a bunch of things and never gave them back, even after the court ordered it. All I really wanted was the CD player my deceased father gave me and a sentimental item I bought from the Czech Republic. I was robbed again in the northern suburbs, while living with a non-romantic male roommate, and we suspect we were watched to learn our patterns and perhaps targeted because we are both well-dressed professionals carrying briefcases and had no parents at home…but who knows? Witnesses say there were two men, but no one was ever arrested. Cheryl lives somewhere in northern Greece, and Mel (Mel’s Diner) says that she and her husband have trouble with people breaking into the car. My fiance has caught people midway into breaking into his car in the southern suburbs of Athens; I’ve also had Greek women punch me on the metro without provocation, though I suspect that has more to do with unknown issues personal to them than robbing me. I just started to love this website! 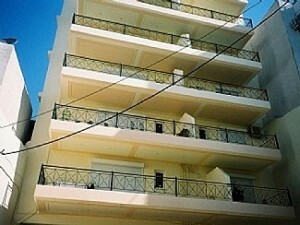 I must have been lucky, having toured several apartments in my short time in Greece, I think I have been lucky. I felt uncomfortable with our first landlady being “bossy” with things we do such as closing the door to loud or disturbing her sleep by having the noizy AC on during the night… I got used to it and there has been little of problems with the landlords. I once caught a particular landlord with a “mathematical error” on the bill that would have had us pay almost 100€ more than we should. I approached him on the issue and he quickly recalculated a new real price, no fuss. And finally, I must have missed out, what does ‘kinokrista’ mean? Hi there, and I’m glad you’ve had good experiences. Sorry, I forgot to answer the question. A future post will cover aspects of how to rent a home, what to look for in a lease and other issues, but for now I’ll tell you that kinokrista roughly translates to common expenses. Common expenses of a building could include petrol for heating, elevator maintenance, cleaning person, gardening expenses, repairs, improvements, water, electricity, and they’re all shared by the tenants. The share you pay depends on the person doing the calculations and/or the square meters of your apartment. If there’s independent heating (you control it) and not central heating, it will also depend on your usage. Be aware that it’s not always fair. I lived in a separate apartment outside a building to which it was connected, and still had to pay for the elevator despite my protests that I never entered or had a key to get in the building, let alone used the elevator. I have also left in winter and was instructed to shut off my independent heating (which I did), but still had to pay 350 euros in petrol when I came back because it had snowed in Athens (aka, people were cranking up the heat) and “that was my share” when they purchased it. When I protested to my very reasonable and otherwise kind building manager, I was told “that was my share” and my actual usage was irrelevant. Friends all tell me this is common practice although there are exceptional cases. Not all buildings have kinokrista, and some landlords build the price into the rent to make it easier to manage. In general here in Greece from my short time here, prepare to be cheated and you will be surprised how warm and nice half of the people are, just be extremely careful with taxi drivers! (PS! You are not the only one being kicked/punched/pushed on the metro, I always get it from middle aged women, even though I am a 6’6” tall 23 yo half latino kid and therefore am supposed to look scary and evil, lol). It’s been ages since I’ve updated my blog, maybe I should think about it again. You really know what you’re talking about what with the state of renting in Greece. I feel like your issues were my issues, and the issues of so many other people I’ve spoken to. Thanks for your words, and your light heartedness. It helps me keep on keepin’ on, knowing that someone out there has gone through all this, and can still stand to live here and get up and enter this world everyday. J – Thank you and I’m glad you checked in because you disappeared for awhile. Please take care of yourself and let me know if you need something. All these amazing stories of being robbed, lied to, cheated . . . and punched! What Greece are you guys talking about? I’m glad I’ve never been there, despite the fact I’ve been living in Greece (obviously a different one) for the last twelve years. I’m in Thessaloniki now, I have a two-year lease on an apartment with a landlord who looks after the property and to whom I make a monthly rent deposit into his bank account. Before that I lived in Chania, Crete . . . OK, some of the rent arrangements there were less formal, but I always got on with my landlords and although they were fiddling on their tax by not declaring rent, it never affected me negatively in any way. Maybe it’s just an Athens thing – never tried renting there. But generally over the last decade-and-some-years I’ve been listening to horror stories non-Greeks have told me about Greek landlords, Greek bureaucrats, Greek boysfriends, you name it . . . My relationship with the Greeks generally is perfectly civilised, and although it’s true they rarely do things by the book, I have never known myself to be cheated or felt insulted (in any significant way). Maybe I’m just lucky . . . or naive . . .
K – I want to second what Scorpion says. An EU citizen such as Nelsie or anyone “looking Greek” has fewer problems. It’s not about being non-Greek. And for the record, the last house I mention renting in the post was completed by my fiance without me present (on purpose), and he was still lied to, in addition to his cousin (a real estate agent) who secured this contact for us. He’s 100 percent native Greek and so is she. When we called around to rent an apartment in the area we now live, 90 percent of people were rude to him, even asking his profession and net salary (extremely rude), but at least invited him to see the place. I can sound and act Greek to the point some have asked if I’m a mix of nationalities, but there’s no way in hell I look it and therefore will always be treated as someone “lower” no matter what I do or know. I don’t care about the rudeness and personally don’t mind people doing things under the table, however because the Hellenic Republic forces me to go by the book for my permit as a non-EU “immigrant,” all of my papers must be done by the book — leases, utility bills, IKA, etc. They aren’t my rules, I’m just playing by them. Kieron? Could you pass for a Greek? I’ve found that foreigners who look like they could be Greek fair better than non-Greek looking foreigners. Yes, Kat and Scorpion, I think you’ve got a point about looking like a Greek – even more, if one sounds like a Greek (and I don’t only mean fluency in language, but in the kind of attitude one communicates in speech, the greekness of your perceived mindset) then your problems are halved. People know I’m not Greek about three seconds after i open my mouth, but I’ve adopted a lot of ‘protective coloring’ over the years to try and fit in with a way of life I basically like, despite all the frustrations. In fact, i notice how I switch personalities slightly when I switch languages – I think it’s almost inevitable. I remember once I was abused mildly by a bus driver for getting on his bus while soaking wet from the rain outside. If that had happened in England (my native country), I would have apologised guiltily. As it is, I lashed back with -kai ti perimeneis? Afou brehei exo, ftaio ego?- . And no offence was intended on either side, and none taken. I can’t do that in English. Once you get used to that, life becomes a little easier. My girlfriend (a Greek) thinks they love the word apagoretetai because under the Junta, most things were forbidden, and they kind of got used to it. Just a thought. And I might add that, as an Englishman, I have to say that I find the English abroad to be the worst adapters to other countries’ cultures and the biggest complainers. Long live the Whingeing Pom! I’m not capable of expressing how i’m grateful for the great work you did, I just want to say THANKS. This site is exactly what I’m looking for for at least two years. I was on vacation on Crete with my wife. It was early autumn and we was stunned by the music, nature, attitude and so on.. We decided to come again some day and try to stay as long as we could. We are both working in IT company. Most of the time we are working at home. So it does not matter much where exactly our home is. Ukraine has much in common with Russia (which is on your TODO list as I remember). So, perhaps you will be interested. We live in Odessa (named likely after the ancient greek colony called Odessos). It’s located on the northern coast of the Black Sea. U – First of all, thank you for your kind words and very genuine and generous invitation to Odessa. You never know, we might take you up on it. 🙂 If you move to Crete, you are in a good position to do so having your own work and can get a permit that way by meeting the income requirements. It’s a beautiful island, my favorite in fact. I too stumbled onto this blog by mistake.. but boy did I get a kick out of reading your rentals sagas… Reminds me of me when I lived in Greece. I now live in India, and believe me, things are much worse here.. and on top of all the problems that can come up, rent in Mumbai costs an arm and a leg… Our scungy 2 bedroom apartment here costs double what our beautiful 3 bedroom home in Sydney is rented out for. Go figure… Anyway I guess it will just leave me with lots of fond memories when I am gone from here. T – Hey! Doesn’t anyone come to my site on purpose??? 😉 I spent 5 weeks in various parts of India, and I saw homes that ranged from huts and boxes to luxurious mansions. Our crappy, moldy, uninsulated noisy apartment near the beach road in affluent Athens costs more than a modern 2-bedroom flat in Brooklyn, NY with a laundry room. I think the same way you do, except instead of memories, I have stories to tell. Wanna change places? K – Thanks so much! Renters who have no problem paying 2000 euros/month for a flat in Greece likely enjoy a much different experience. We have no plans to buy a home in Greece because we don’t intend to stay or come back. Our plans are to buy in another country, so we’re renting until we leave. I just came across to your website while googling on the web for some info about living in Greece. Having browsed through your pages I am questioning myself if I really want to come back to Greece… And mind you: If I do come back, it will be based on my contract i have here in the Netherlands and the salary (more or less) that I have here – that means, I will have the foundation to have a quite good life there!!! !